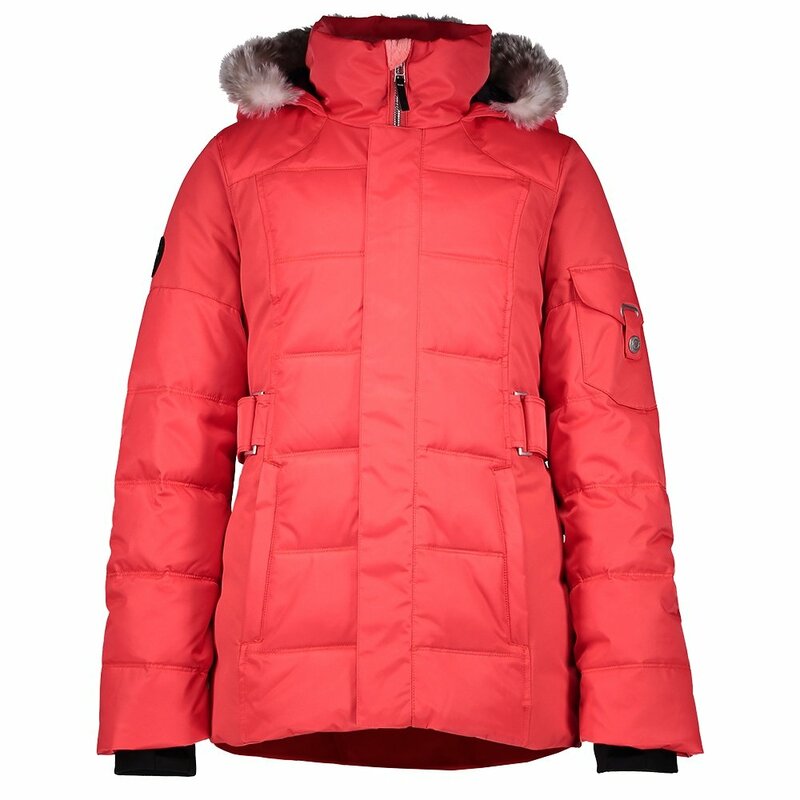 If you want to keep your little one warm and stylish, the Obermeyer Tess Insulated Ski Jacket is a perfect choice. With varied insulation levels including 135g on the body and 60g in the hood, this ski jacket keeps her warm in all the right places. The HydroBlock® Sport fabric and water-resistant powder skirt keep the elements out, while added features like a detachable goggle cloth and electronics pocket with wire port make it a practical choice for her on the mountain. Plus, if you’re looking for a stylish jacket for après-ski exploring, the removable faux fur makes for some added luxury she’ll love.